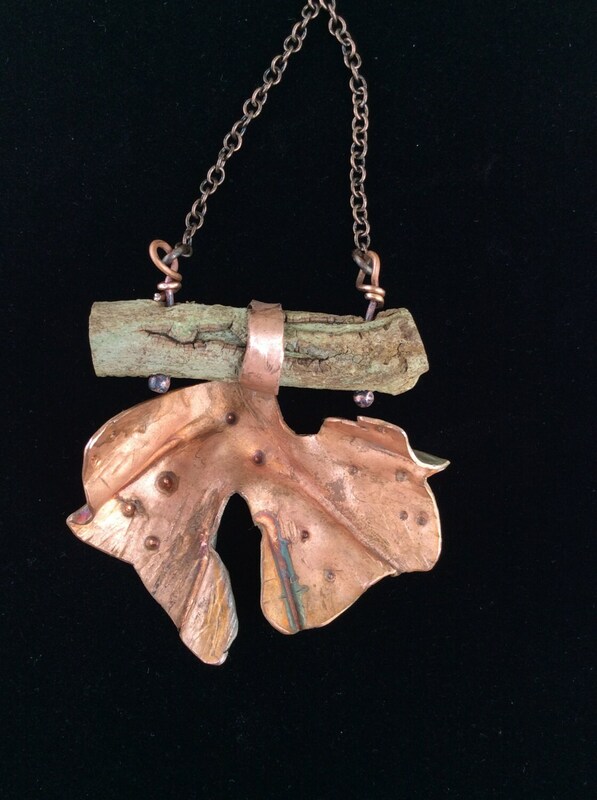 This is definitely an organic necklace! 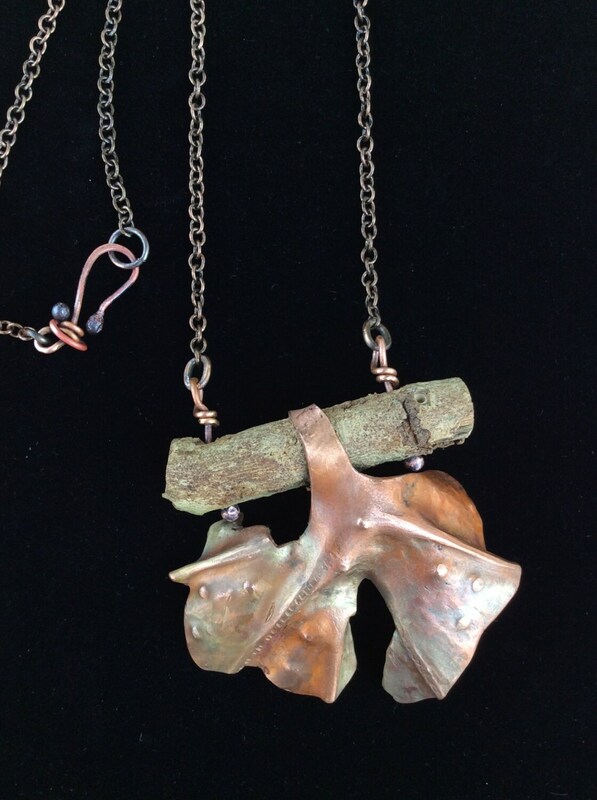 The copper is mined from the earth with it's earth tone colors. 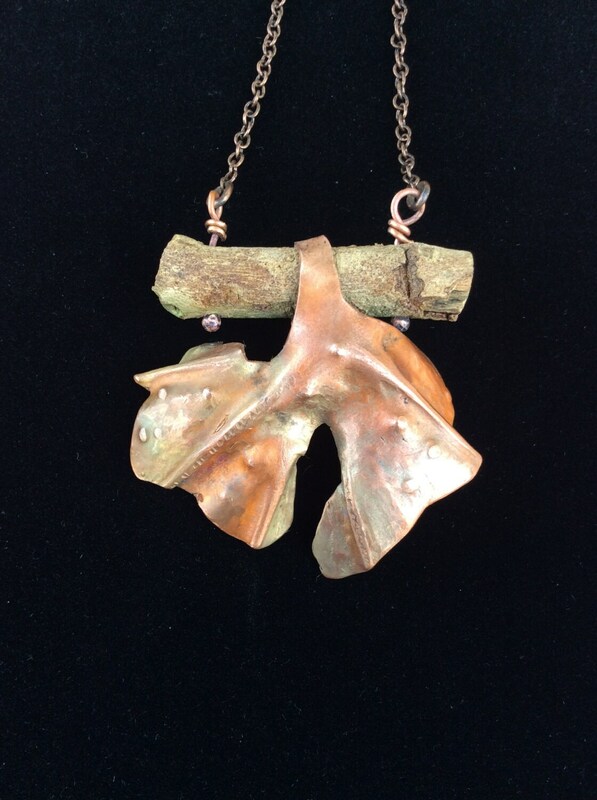 The small branch comes from a gigantic 200 yr old sycamore tree, having blown over during a violent summer storm... The balled copper wire was melted using a torch while the rollo chain with the tiny links is also copper. I formed the hook style clasp from copper wire. This pendant began as a piece of sheet metal and I carefully sawed the basic outline. Using a torch to anneal or soften the metal, I carefully folded the metal to form pseudo veins. Hammered, torched, folded, unfolded and folded again, this process was repeated nearly 20 times. Then the filing and polishing take place! The techique is called Fold Forming and is both time consuming and labor intensive! Oh, and I happen to love doing it! The piece of branch has not been treated except for some light sanding when I sawed both ends. It's been dry for quite a while and was placed in a warm oven just in case any tiny creatures had set up housekeeping! 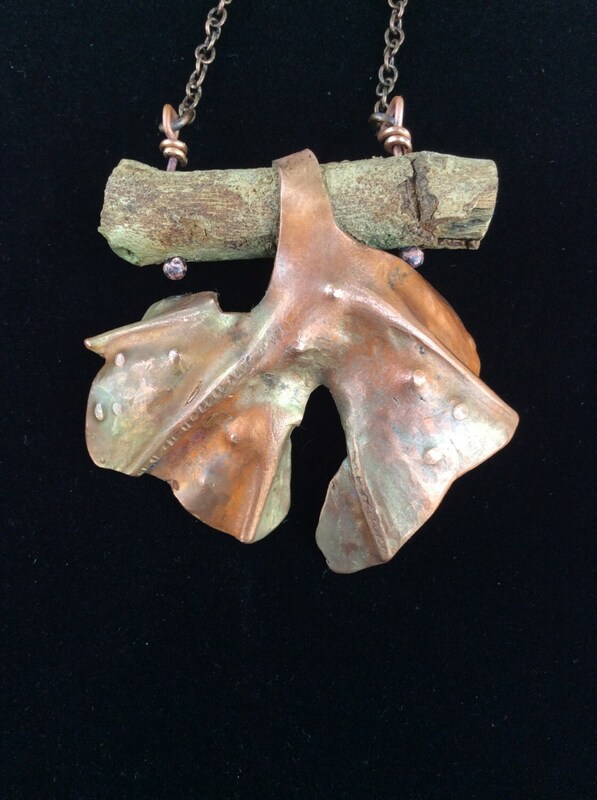 It may shed a piece of bark over time but it won't be "crawling" away! The leaf has been flame colored by my torch, bringing out beautiful, yet subtle colors of orange, green, and yellow. 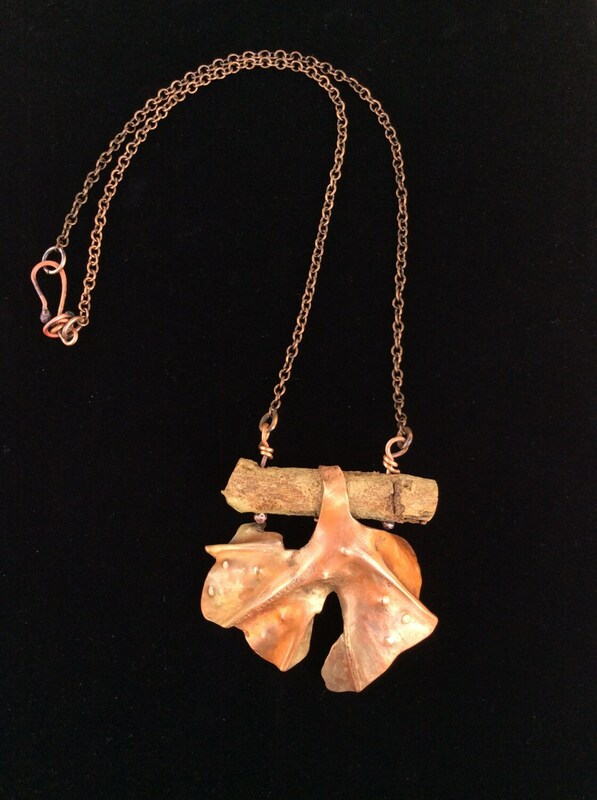 This necklace is certain to be a conversation piece and many will ask you its source. It looks beautiful when worn with a solid color, scoop neck tee. Or you can really go out on a limb (yes, I really said that☺️) and wear it with your LBD to an event! I'll send your purchase in a black gift with an elastic bow. I can mail to an alternate address along with a personalized note from you if it's to be a gift. Shipping is free in the US! Don't hesitate to convo me with any questions or comments! Sincere thanks for visiting my shop! Spread the word and visit often!